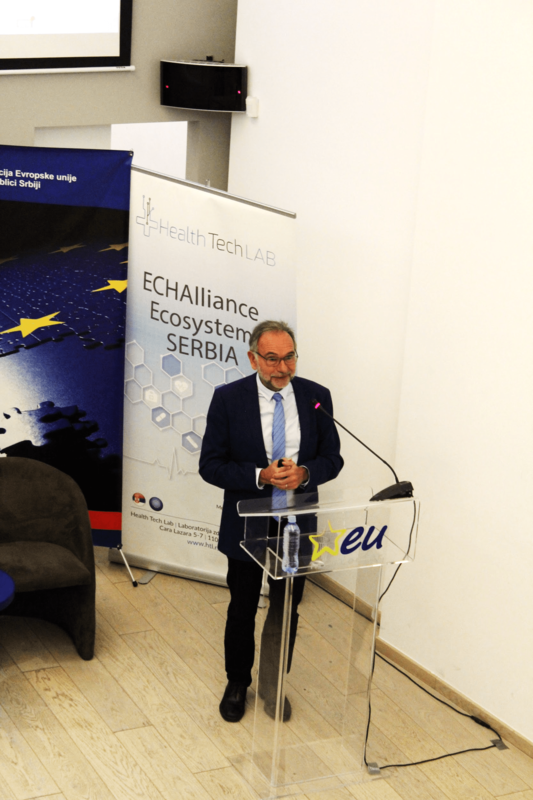 The Serbian Health Tech Ecosystem has been launched on Oct 4th, in Belgrade, and is the newest connected health ecosystem of the European Connected Health Alliance. This is the first step, but very significant for the developing community which is in recovery and transition, yet with great potential. Serbian ecosystem has high expectations on development through collaboration on multiple levels: with other ecosystems, SMEs, research institutes and others. The main goal of the ecosystem is to support the development of health-tech that already exists in Serbia, to help initiate and spark innovation in health-tech, and also collaborate with biotech and medicine from the very beginning. 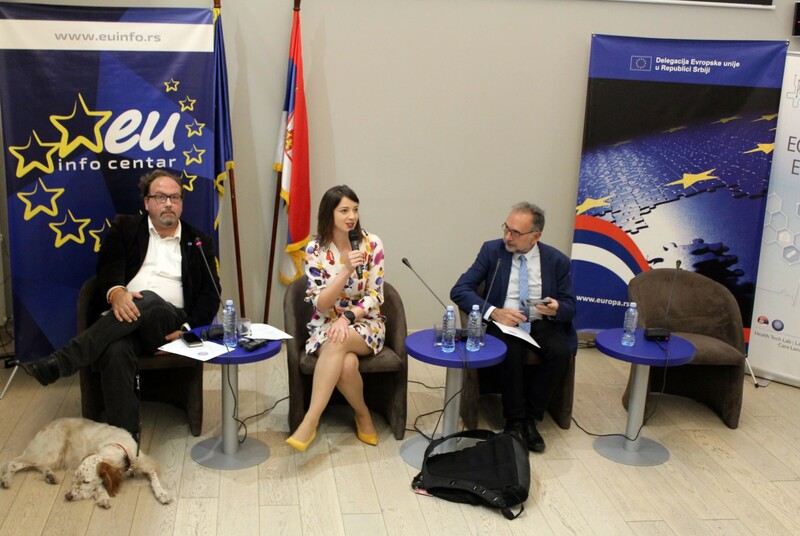 The Opening event was held in the beautiful premises of the EU info center in the downtown Belgrade with an exciting Agenda. Participants representing the academia, industry, research institutes, government, patient organisations, physicians and other gathered to get to know each other, learn and connect for future collaborations. “The Congress of the Health Ecosystem of Serbia has been very successful, with well-developed communications and excellent speakers. The very efficient initial event is the key for achieving of the proposed objectives. I would like to highlight the positive environment and the synergies between the organizers and the participants. Personally, I have to say that it has been a beautiful and inspiring experience“. Dražen Zacero and Djurica Stankov from the Patient Association of Serbia explained main needs and challenges of the patients in Serbia. Dr. Nataša Jovanović Lješković, the Dean of the Faculty of Pharmacy from Novi Sad, highlighted all the possibilities in digitalization in Pharmacy from the advices and experiences of her colleague from the Netherlands-Dr. Claudia Rijecken. 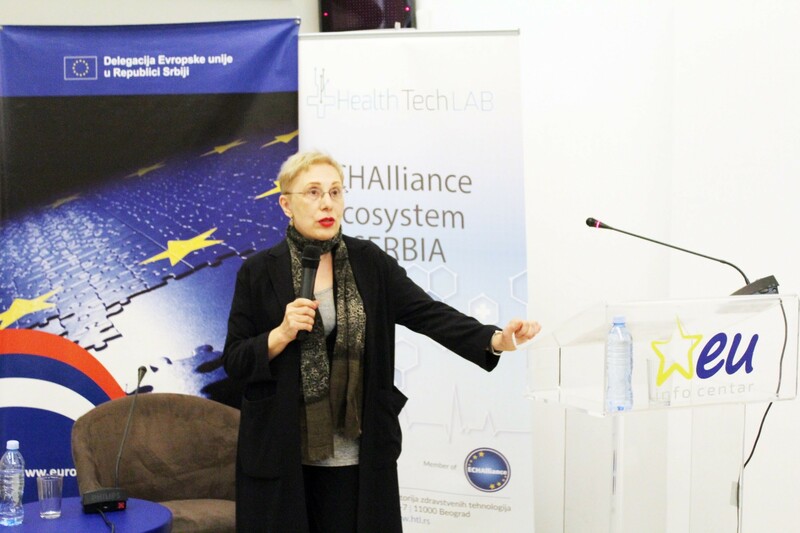 Senior Care was presented through the eyes of an Editor of mHealthSpot and Founder of DHbriefs, Dušan Belić while Dr. Branka Zukić presented exciting and innovative work from the Institute of Molecular Genetics and Genetic Engineering from Belgrade. 1) Dr. Goran Vukomanović in front of HUMEDS explained the need for mobile ECG device. 2) Ivan Gligorijević, PhD as the CEO of mBrainTrain pin pointed few of the stumbling rocks for health tech startups in Serbia in parallel to presenting the achievements of mBrainTrain. 3) Optimised Healthcare was presented by Nikola Stanojević, PhD and one of the Co-Founders. The day ended with the first-of-its-kind panel moderated by the Founder and Director of BelMedic Hospital — Dr. Jasmina Knežević, entitled: Health Ecosystem of Serbia: Goals, Challenges and Opportunities. The panel participants were Joan Cornet, Milena Gajic Stevanović, Branka Zukić, all introduced earlier, and Milica Djurić, Director of the Innovation Center of the Faculty of Electrical Engineering in Belgrade. Ms Djurić explained some of her experiences from abroad in the area of digitalization of Health concluding that in Serbia: The data is ready, but the data systematization is not! What a great day and knowledge sharing! Thanks to all who participated and made this possible. Looking forward to what is coming next! 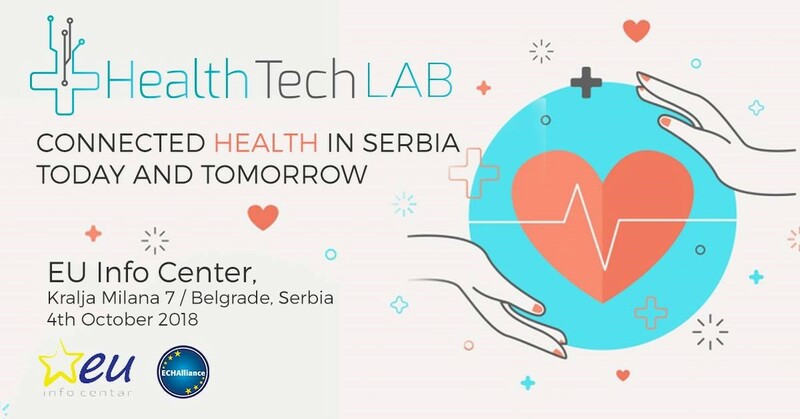 At the moment you can follow the Serbian Health Tech Ecosystem through their Facebook page. Website is under construction. For any messages and inquiries please contact them through: healthtechlab.team@gmail.com.